28ct. 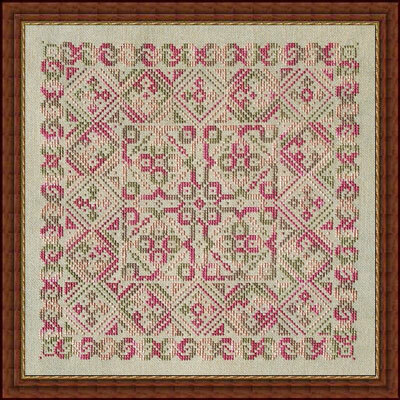 'Olive' Jobelan (stitched 2 over 2) from Sassy's Hand Painted Fabrics. Stitched with Carrie's Creation Hand-dyed floss 'New Vision'. 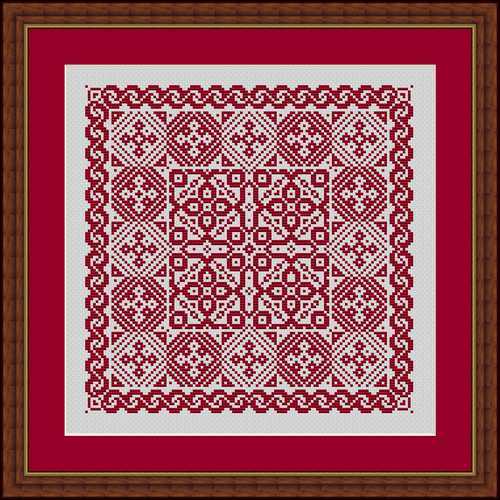 'Gigue' stitched with Red on Antique White jobelan.